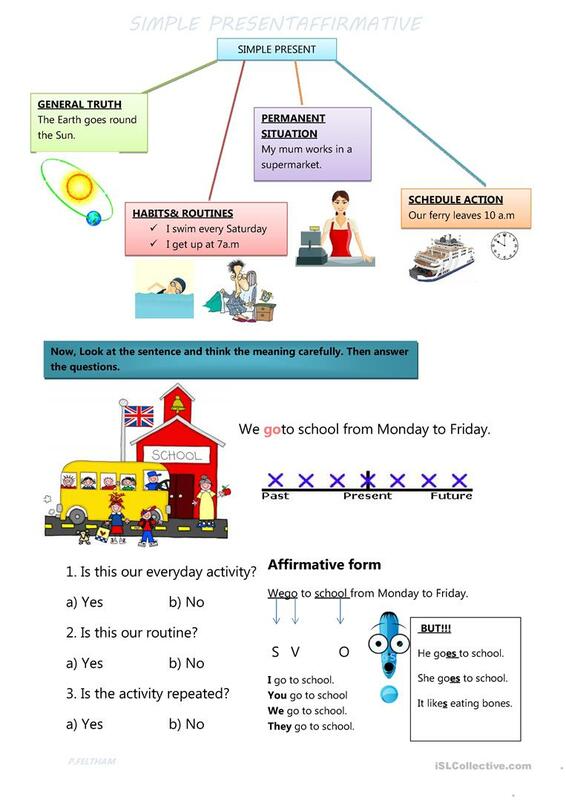 This is a worksheet of Present Simple affirmative sentences with teaching tips and 3rd person singular spelling rules. Hope you'll enjoy it. 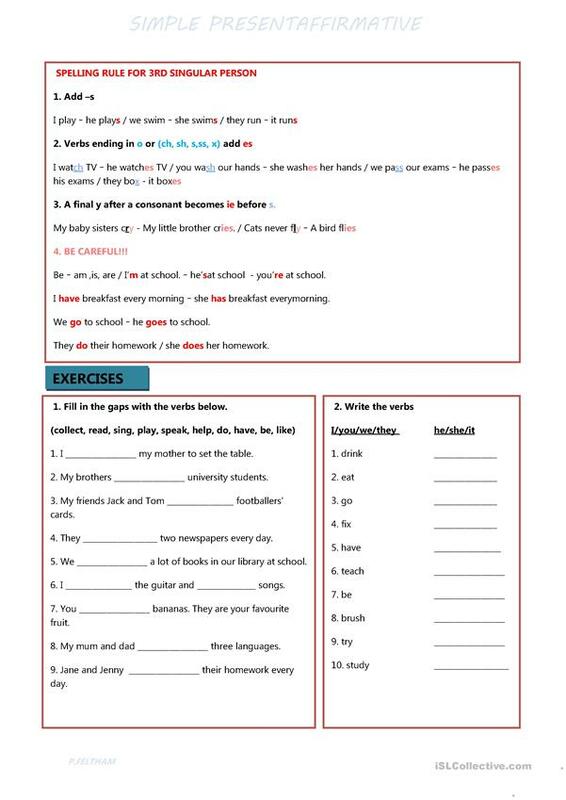 The above downloadable teaching material is recommended for high school students and elementary school students at Elementary (A1) level. It is great for practising Present simple tense in English, and is useful for honing your pupils' Spelling and Writing skills. It includes the answers, too.